How PACE certification helps you rise to new heights of responsibility, respect and rewards! 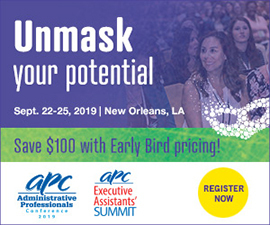 Take your career to the next level with an exciting learning program—plus the internationally respected PACE credential. If you aspire to a more rewarding career—expanding career options, increasing your earning power and boosting your confidence—PACE certification is ideal. Best of all, PACE certification is recognized as a career achievement by managers and companies the world over. Once you’re certified, you can proudly add the PACE designation to your signature, reflecting your advanced competence and accomplishment. 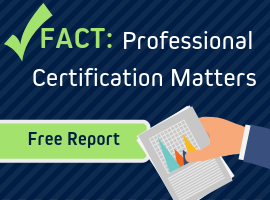 PACE certification was developed and is authorized by the American Society of Administrative Professionals (ASAP), the largest international association of its kind—more than 75,000 members strong. "As I learned more about PACE Certification, I knew this was the tool I needed to achieve my goals. Earning my PACE helped me to earn a promotion and a bonus. I am so honored to let everyone know that I am PACE certified." This streamlined learning program is perfect for busy professionals—efficient, convenient, easily accessible. PACE uses fully online digital training methods, so you learn quickly and easily—on your own schedule. In addition, our study support materials accelerate your learning process every step of the way—and PACE learning modules help you sharpen the critical skills most valued by employers.